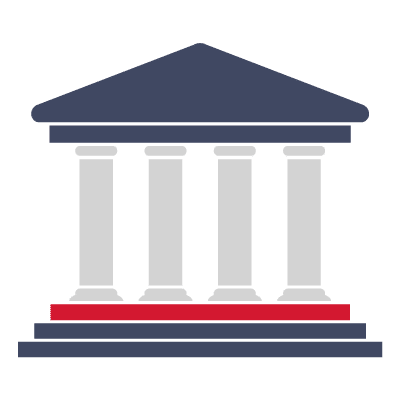 With the use of e-learning services, employees in the banking sector can access information needed anytime and anywhere, for both existing and new products. Through an asynchronous learning platform and e-learning courses, access to training material becomes effortless, as the only requirement is internet connection via desktop or laptop, tablet, or smartphone. E-learning is the future of training in the banking sector. The trust towards SQLearn from the largest banks in Greece for the organization of their training activities through the company’s systems, as well as the planning of their investment in e-learning, is the ultimate proof of the above mentioned statement. E-learning is an investment that helps optimizing the use of training budget and maximizes return on investment (ROI). SQLearn’s asynchronous e-learning platform (Learning Management System, LMS) is based on Moodle and provides all the utilities needed for the management of the training process. Ability to schedule and manage training activities carried out in a classroom or via teleconferencing and creation of consolidated reports. At the same time, management of course completion certificates per sector and per year is supported. SQLearn provides various types of e-learning courses based on customer’s needs, the available primary material and the target audience. 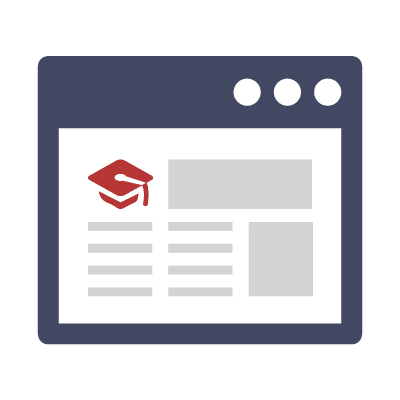 Customized e-learning courses: Development of e-learning courses based on each company’s needs, the purpose of training and the target audience of each course. Creation of simple courses, webinars, courses with the use of scenarios and software simulation courses. Courses related to certification of insurance intermediaries by the Bank of Greece. 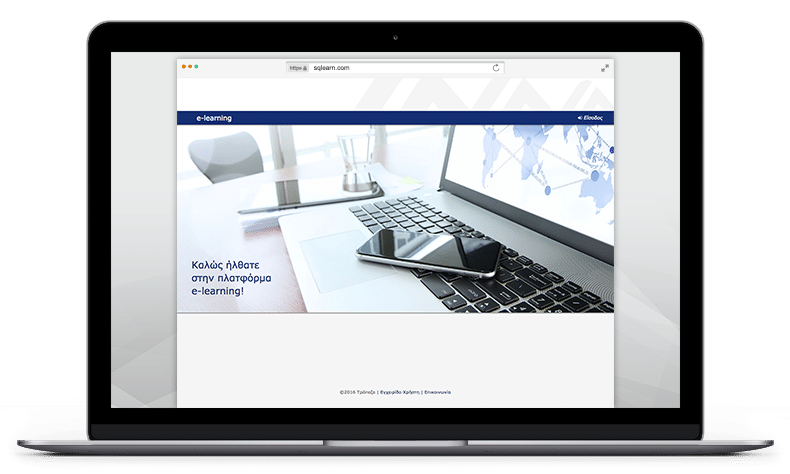 SQLearn in cooperation with the National and Kapodistrian University of Athens provides e-learning courses for the re-certification of insurance intermediaries who have been certified by the Bank of Greece. Upon successful completion of each e-learning course, the insurance intermediary may obtain a certificate of attendance used as proof of re-certification. Additionally, the benefits for learners are multiple, since they have the ability, through self-assessment tests, to test their knowledge in any subject such as insurance products and services that they are required to assimilate. Level B: Institutional issues of the insurance market, upcoming changes in the institutional framework of the private insurance sector and the insurance intermediation activities at national and European level, information to insurance beneficiaries – consumers, customer service in the event of insurable risk, regulatory compliance issues, transparency, conflict of interest, knowledge to protect the customer and all parts of a fraudulent transaction, ethics, professional liability, handling causation of insurance consumers, various issues from legal framework. Level C: Development of individual skills and competences for effective communication, pre- and intra-contractual, with the customer and the service provided, recognition of the profile (risk) of the client and assessment of consumer needs, sales methods and techniques, business organization and management, general and specific knowledge on financial matters. In addition, SQLearn undertakes the development of an e-learning course based on the available digital material of each company for Level A: Products that the trainee promotes on the market, their original private-insurance features, as well as tax, social security, investment and other issues concerning the consumer. SQLearn is certified by TUV AUSTRIA HELLAS to provide e-learning services according to ISO 9001: 2015.